Koh Phi Phi Resorts Hotels and hostels come in all styles and at many budgets. It is difficult enough to choose your accommodation sifting through all the reviews, hotel fact sheets and commentary before you get to a booking website. Isn't nice to know that phi-phi.com has no Booking fee and that the VAT & Hotel Service Charge are also included. Koh Phi Phi Island is a collection of 6 island on the south west corner of Thailand. The islands are known for their dramatic beauty above and below the waterline. The movie 'The Beach', starring Leonardo Di Caprio was set in the incredible Maya Bay on Koh Phi Phi Ley. The marine park has over 20km of stunning coral reefs and the island is home to over 20 dive schools. The island is highly popular with divers, snorkelers and sightseers. 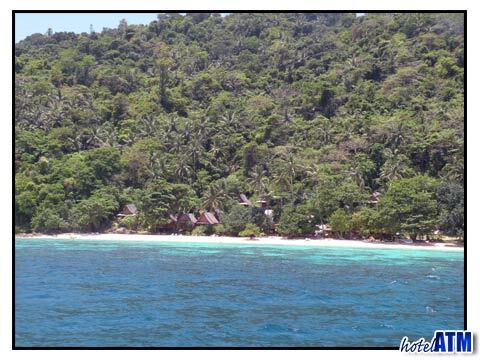 You are able to stay overnight on Koh Phi Phi Don and camp on Phi Phi Ley. The Koh Phi Phi Don Hostels, Hotels and Resorts come in many levels from budget to luxury. Koh Phi Phi Resorts come in many guises with the luxury resorts of Zeavola Phi Phi Resort, Holiday Inn Phi Phi Island and Phi Phi Island Village Resort And Spa commanding the 4 and 5 star market and the respect of those who take excellence for granted. These resorts are in the north of Koh Phi Phi Don where it is quieter and more peaceful. These luxury resorts are the main venue for island weddings and honeymoon trips. They also have spas and focus on wellbeing and wholeness of the resort experience. These resorts house some of the islands best kitchens and their activity programs, including diving are some of the islands best organized. Further resorts of note are on the Long Beach just 10 minute boat ride from the main pier. Long Beach faces south west and has long views out toward Koh Phi Phi Ley, the island known for it's great diving Viking Cave and Maya Bay. The Phi Phi The Beach Resort, Paradise Resort and Phi Phi Paradise Resort all command excellent views and enjoy the unparalleled coral and sandy beach. Around the main Phi Phi Don Village the Phi Phi Cabana Resort, Mama Beach Residence, Andaman Beach Resort, Arayaburi and Bayview all have beach frontage and have the buzz of the enchanting and fun village scene. The village is home to a wide collection of restaurants at many levels and styles of cuisine and a roaring nightlife that spills out onto the beach at places like Slinky Beach Bar . The main Koh Phi Phi Hotels are in Phi Phi Don Village and are so named as they are not on the beach. Phi Phi Hotel, PP Palmtree Resort are part of the very competent Phi Phi Hotel Group and put up a lot of visiting divers who need access to the dive pier. These hotels offer great value as the rooms are not actually on the beachfront. Other resorts that have hotel wings include the Andaman Beach Resort and the PP Andaman Legacy. 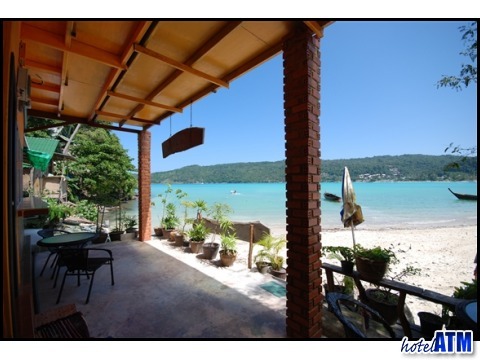 More than 60% of rooms on Koh Phi Phi can come under the heading of Koh Phi Phi Hostels. Backpackers first found the islands in the 1980s and traditionally it is a destination on the list of to-dos if you are travelling around Thailand. This makes for a young and vibrant scene especially at night when the Slinky Beach Bar, Reggae Bar, Dojo Bar and many more heave with expectation of a fun and cracking time.